When we use numerology to analyze something, the first thing we look at is how closely is it connected to you. For example, a house number is more important than the street name, because it is exclusive to you home, while the street name is shared with others. 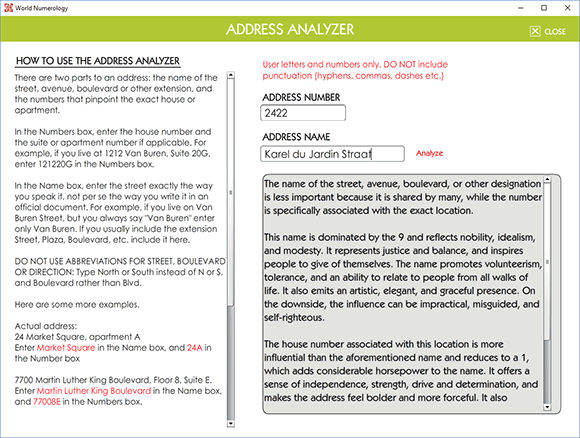 The Address Analyzer looks at both the number and the name of the location but gives more weight to the number. Use it as often as you wish - for your friends or anyone else. Does your phone number support what you want and where you aim to go? It is helpful to view all the numbers associated with you, your home, and business. 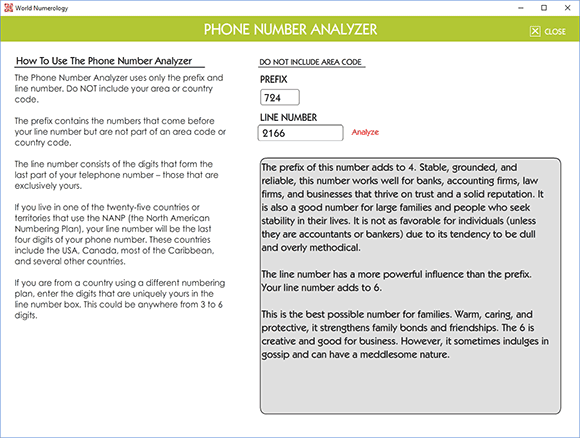 Many service providers allow you to choose your own phone number, this can help you find the number that most closely expresses the energy you wish to integrate. Included in the Full Subscription - use as often as you wish, for friends or co-workers. This age-old method reaches into your psyche to access your memory bank and dig up things you didn't know you knew. The moment you drop an object or put something away absent-mindedly, is it forever stored in your memory (somewhere). 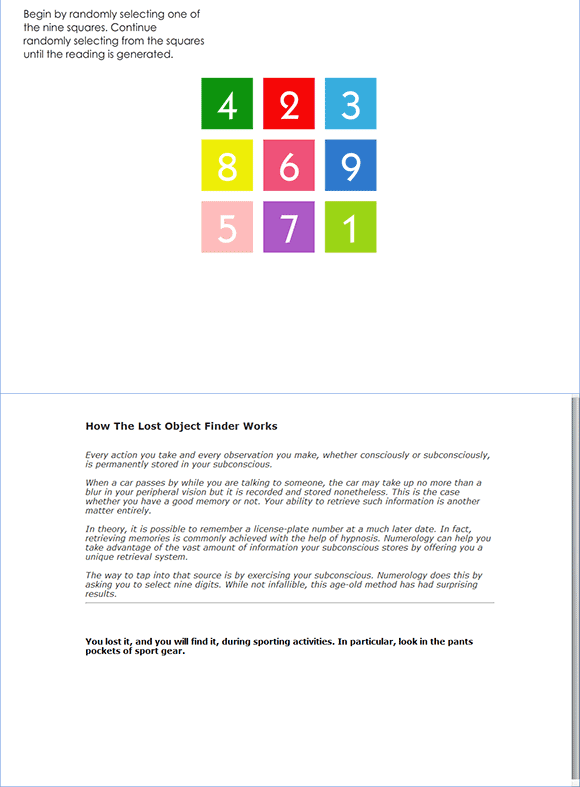 The Lost Object Finder gives your mental acuity a boost. Included in the Full Subscription - use as often as you wish.